People who abuse inhalants use these drugs to get a euphoric feeling known as a high. You can oftentimes quickly identify the warning signs of abusing inhalants by looking at your own actions or the behaviors of those around you. When you spot these warning signs, call us . The sooner you ask for help, the sooner you can work on getting back on your feet. Inhalants are products you can find in grocery stores, gas stations and even in your own home. 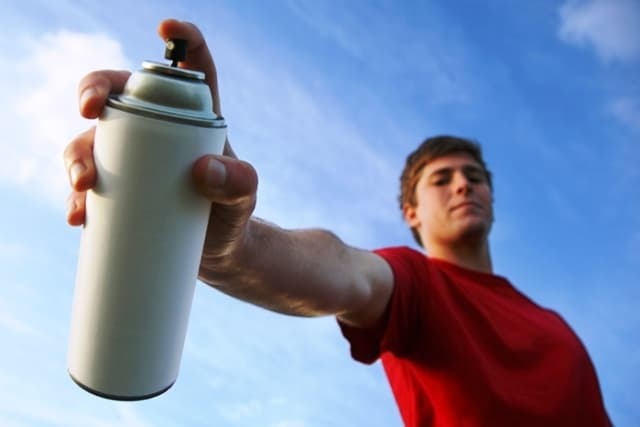 According to TeensHealth, inhalants include gases, liquids, nitrates and aerosol sprays. Paint thinners, markers, hairsprays, room deodorizers, whipped cream canisters, lighters and gasoline are just a few examples of different types of inhalants. Unlike prescription drugs, which require a doctor’s recommendation and illegal drugs that sellers offer on the streets, people can purchase inhalants from stores in their neighborhood. The side effects can worsen in those who use inhalants for a longer period of time, and with prolonged use, the negative side effects can last for hours or days after using the substance. The Foundation for a Drug-Free World found that those who stop using inhalants can exhibit withdrawal symptoms, including uncontrolled shaking or seizures. Finding an inhalant addiction recovery helpline is not as difficult as you may think, partially because the government maintains several helplines. The National Treatment Referral Helpline at 1-800-662-HELP is a great resource if you’re ready to stop using inhalants and check into a rehab and recovery treatment facility. NIDA for Teens also recommends calling the National Suicide Prevention Lifeline at 1-800-273-TALK if you’ve been having thoughts of self-harm or suicide. When you think you cannot control your drug use and don’t know where to turn next, call this number to learn more about the right addiction recovery program options for you and your loved ones. You can talk to someone who will help you understand that you can overcome your addiction and stop using inhalants. You can also call our inhalant addiction recovery helpline. We are here 24/7 to take your call and answer any questions you may have about inhalant abuse. We can also help you find recovery resources in your area that can help you get on the path to wellness today. Overcoming an addiction is something that requires a strong support system. By calling us today at 1-888-319-2606 Who Answers? , you can learn how to stage an intervention and sit down with the person in your life who abuses inhalants. You can also learn how to find support in your community, including doctors and medical professionals who can help you at the intervention. It’s important to plan the intervention ahead of time, with the help of professionals, to ensure that your loved one has the best chance of saying “yes” to treatment. If you’re the one with an addiction to inhalants, you can make the decision today to seek help. When you’re ready to leave the world of inhalant abuse behind, call our inhalant abuse recovery hotline to see how you can make that happen. A new and sober life awaits you; make the call today.